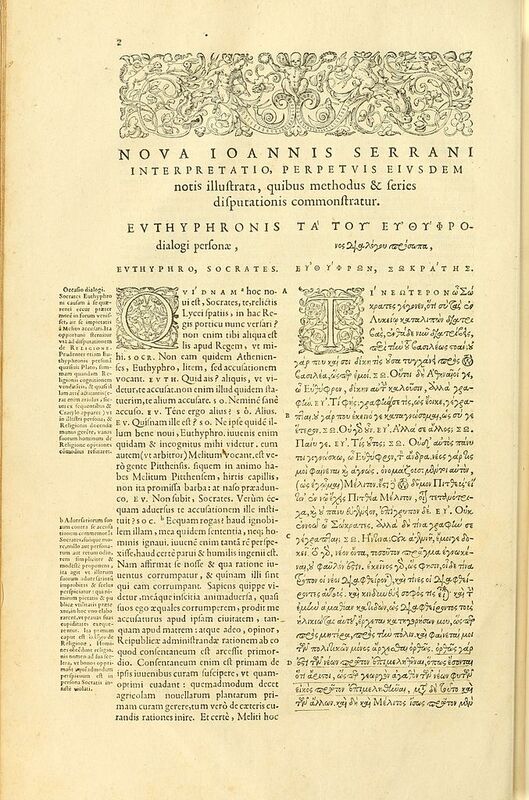 Plato’s Euthyphro is one of his shorter and earlier dialogs. It is concerned with piety (holiness) which, as I mentioned last time, was considered to be one of the five components of virtue. 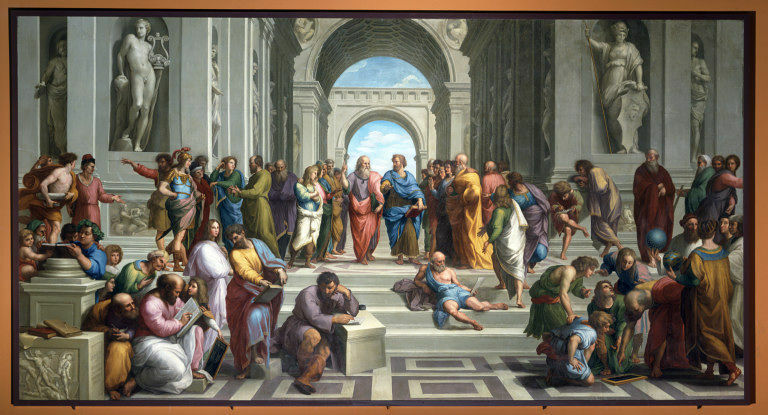 The interlocutor, or person with whom Socrates converses, is Euthyphro. Euthyphro was a well known, very respectable priest. It is typical of Plato’s dialogs dealing with virtues that the interlocutor is an expert on the virtue in question. Socrates and Euthyphro meet as they are waiting for their turn in court. Socrates is there to defend himself in the trial that will end in his execution. Euthyphro has come to indict his own father for manslaughter. The father had let a captured murderer die through inattention. Euthyphro has been set up with a classical ethical dilemma: he has a duty as a religious leader and citizen of Athens to prosecute and punish killers, and there is not a shred of doubt concerning his father’s guilt. On the other hand, the man is is own father. The man who was killed was a stranger who had himself knifed one of the family slaves. Furthermore, the father did not deliberately kill the man; he had simply not remembered to check on him after tying him up and leaving him in a ditch, allowing the man to die of exposure. According to Euthyphro, however, there is no conflict. Piety demands that he follow divine law and prosecute his father. Nothing else comes into the decision. This leads Socrates to begin questioning him on what piety is. 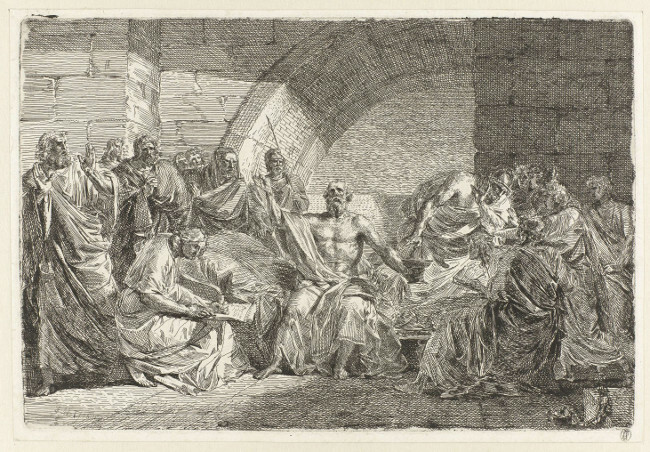 Piety, points out Socrates, is an important part of his own upcoming trial, since Antyus has accused him of denying the city’s gods and creating his own. He could really use some instruction from Euthyphro on the matter. I occasionally teach business ethics classes, and Euthyphro’s story reminds me quite a bit of the mini cases which are in most ethics textbooks. They are deliberately murky, the idea being to force undergraduates to consider both sides of the dilemma and write a reasoned response for why one decision or the other is better. One of the things which we drill into the students is that when they are posed with an ethical dilemma, they need to consult the official code of ethics for the company or professional society. If the situation is covered by the code, then the decision has been made for them. This is essentially what Euthyphro has done. His “professional code of ethics”, of course, is Athenian religious law. This is a good lesson to teach twenty-year-old business majors. They have limited practical experience, are still developing their critical thinking abilities, and will probably never receive further training in moral philosophy after this ten week class is over; they don’t really have many tools to deal with complex or ambiguous ethical situations. However, since the Sarbanes-Oxley Act, most companies, and all large companies, have fairly extensive written ethical guidelines. As long as my students obey them they probably won’t go too far wrong and, ceteris paribus, the world will be a better place. 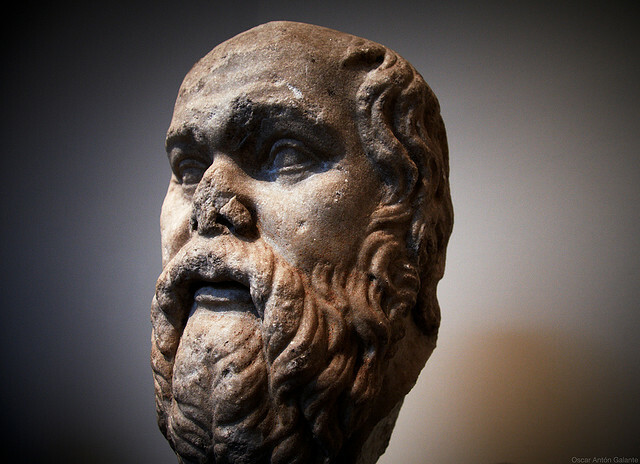 To Socrates, however, just obeying the law without examination is a cop-out. Euthyphro says that piety requires men to obey the law of the gods, but what is piety, exactly? Can he provide a definition? Socrates next suggests that piety might be a kind of justice and asks Euthyphro to define what type of justice it is. Euthyphro replies that piety is the part of justice which has to do with looking after the gods, but Socrates worries about what exactly this means. What is the work of the gods, and how do humans help it along, if at all? Euthyphro, now getting a bit tired of the conversation, says that piety is knowing how to sacrifice and pray to the gods, but Socrates is still concerned that the Gods don’t get anything from relationship except gratification. If so, they are back to Euthyphro’s original definition about piety being that which is pleasing to the gods. Socrates suggests that they start over from the beginning but Euthyphro, suddenly “remembering” a prior appointment, makes his escape.